Updated running back rankings, in their entirety, can be found here. New top five member this month with DeMarco Murray sneaking in at five. The top four remain the same with LeSean McCoy, Jamaal Charles, Eddie Lacy, and Gio Bernard. Doug Martin drops from four to eight. Big risers this month include Mark Ingram to 33rd from 40th; Knile Davis to 44th from 52nd; and Ahmad Bradshaw sneaking up to 52nd. Big drops include Adrian Peterson to 16th from 6th; Toby Gerhart from 30th to 37th; Maurice Jones-Drew to 50th from 42nd; Danny Woodhead to 53rd from 47th; Jonathan Stewart to 54th from 48th; Pierre Thomas to 55th from 49th; and Marcus Lattimore to 57th from 43rd. Rookie movers include Carlos Hyde up to 18th from 23rd; Jeremy Hill to 29th from 35th; Isaiah Crowell to 40th from 57th; Jerick McKinnon to 41st from 54th; and Andre Williams to 42nd from 51st. Giants quarterback Eli Manning had another throwback game with 248 yards and three touchdowns with no interceptions. Manning keeps making a play for low-end QB1 play but in dynasty is probably still a QB2. 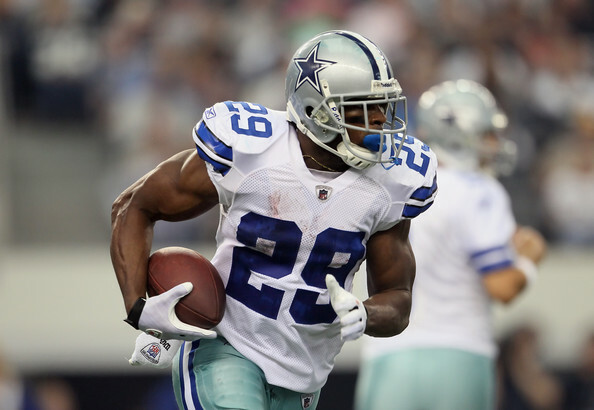 Cowboys running back DeMarco Murray continues his hot streak with 128 yards and a touchdown. He’s fantasy’s top running back this year and is moving into the elite status. Cowboys receiver Dez Bryant did his thing with nine catches and 151 yards. 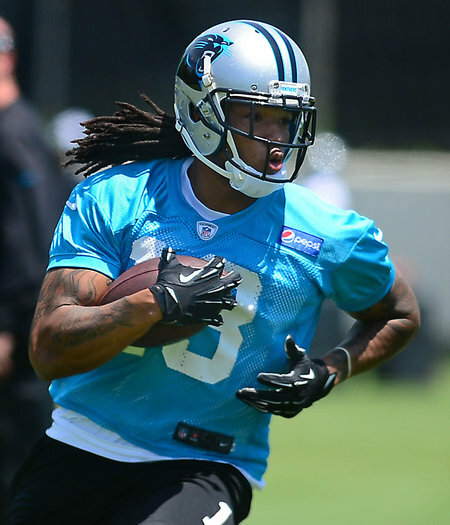 He’s our top dynasty receiver going forward. With Victor Cruz out, Giants tight end Larry Donnell took advantage with seven catches for 90 yards. Donnell has come out of nowhere to be a low-end TE1 this year but should be at leafs a TE2 in dynasty formats. Ravens running back Justin Forsett continues to get the work, piling up 95 yards on the ground. He out touched Bernard Pierce 25-8 and continues to be a RB2 this year. I can’t imagine Forsett going anywhere next year and could be a value. Falcons receiver Roddy White had a throwback game with nine catches for 100 yards and a touchdown. We’d still move on from him in dynasty formats. Falcons linebacker Joplo Bartu led the way with 15 tackles. But with so much uncertainty between him and rookie Prince Shembo, it’s a situation to avoid. Ravens linebacker Daryl Smith had a good day with 13 tackles and a pass defended. Smith continues to play at LB1 level and should be considered that in dynasty formats.